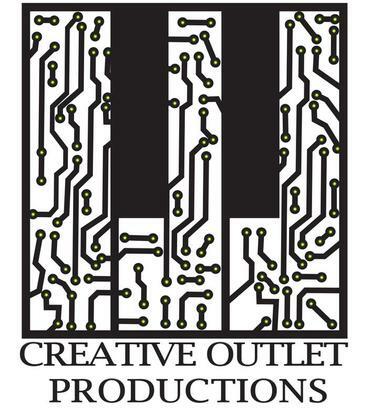 Creative Outlet Productions began back in 1989 when I was sharing a house in Albany, N.Y. with two of my high school buddies, Bob Naylor and Carl Smith. We put together a small but very cool 8-track analog studio which we all used to create. We were also able to record several projects for others. In 1992 all three of us were drawn in different directions and the studio was dismantled. In 2008 I revived the name and incorporated. I put together a fabulous home studio and began writing and recording. In 2009, I had the opportunity to mix and produce my first Cd release, Carm Grasso's "Soul Stealer". The experience was phenomenal and I learned a great deal throughout the process. I was extremely pleased with the outcome and it just got me more "fired up" to produce more. I have to say that producing for others runs a close second to writing and performing. The newest project is my first solo CD, "Simpatico" which seems to be progressing well. My hope is to continue to mix and produce for others. With today's technology, it is so easy to record, collaborate and share music and creates a great opportunity to help others create. If you have a recording project and would like to chat about possible collaboration, please drop me a line through the "Contact Us" page.